In honor of Halloween being this week, I am devoting this post to all the cemeteries I have enjoyed exploring. And there have certainly been a lot of them! 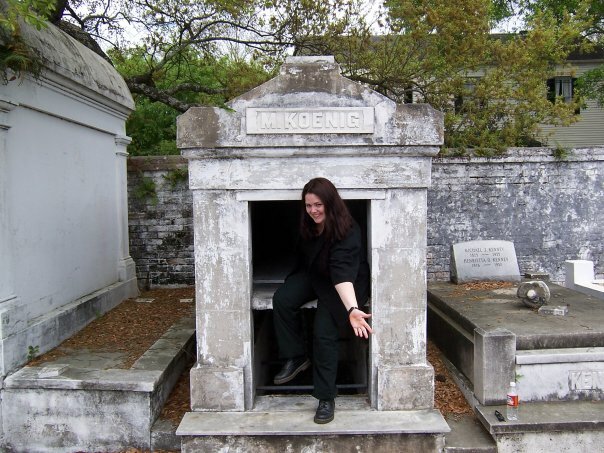 Being that I write vampire books, it’s no surprise that cemeteries are strongly featured in them. Unless you live in New York City, and specifically the borough of Queens, what you probably don’t know is that there are more cemeteries in Queens than there are in all the other boroughs combined. What this means is, if you live in Queens, you most likely live pretty close to a cemetery. I have many fond memories of visiting cemeteries–when I was growing up in Maspeth, Queens, my house was within a block of an entrance to the cemetery. Since my grandmother’s family was buried there, my grandma took me for walks in the graveyard quite often. Much in the way people in the suburbs would picnic in the park, my grandmother would pack us some sandwiches and we would go behind her parents’ grave and have lunch, while she told me stories about growing up in NYC in the early 1900s. When I was a little older, it was decided by my parents that it was too dangerous to ride my bike in the park, but the cemetery, with its wide paths and infrequent traffic, was fine. So understandably, cemeteries always had a pleasant connotation for me rather than a negative one. Below is a photo of some odd Queens magazine that features an ad for the cemetery that I used to live near as a child. 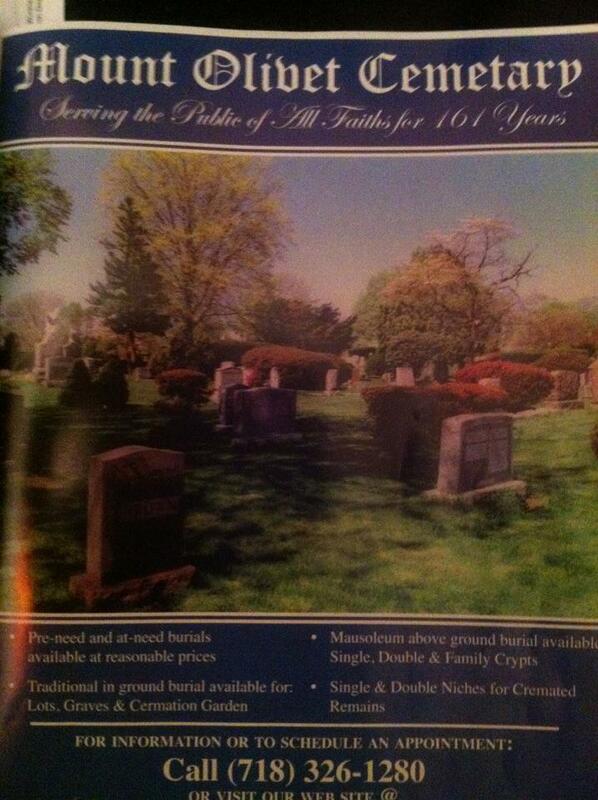 Notice how they misspelled the word “cemetery” in their own ad. And for some reason, whenever I travel, I feel compelled to visit at least one local cemetery. In April 2005, my husband and I went to New Orleans for our honeymoon. We took the below photo at the Lafayette Cemetery No 1. In April 2010, we went to Paris to celebrate our fifth year anniversary. 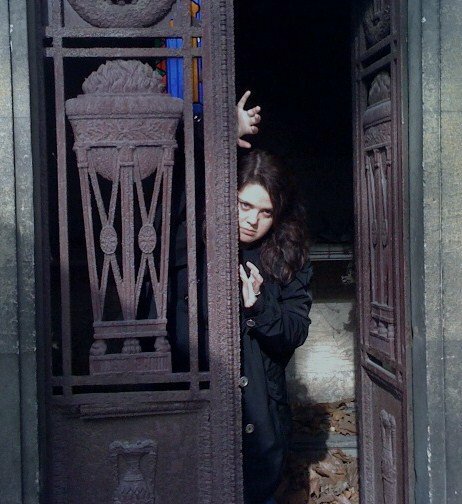 Our hotel was by the Père Lachaise Cemetery, where this photo was taken. Despite the fact that I was actually trying to be creepy, I was three months pregnant at the time and not feeling great, thus paler than usual. I have many more cemetery photos, but the above two are some of my favorites, taken in two of my favorite cities as well. Lastly, in news that is somewhat related to cemeteries, I am pleased to announce the release date for Cold Blood is November 17th! For more information, plus giveaways, excerpts, and the cover reveal, join this Facebook event ! 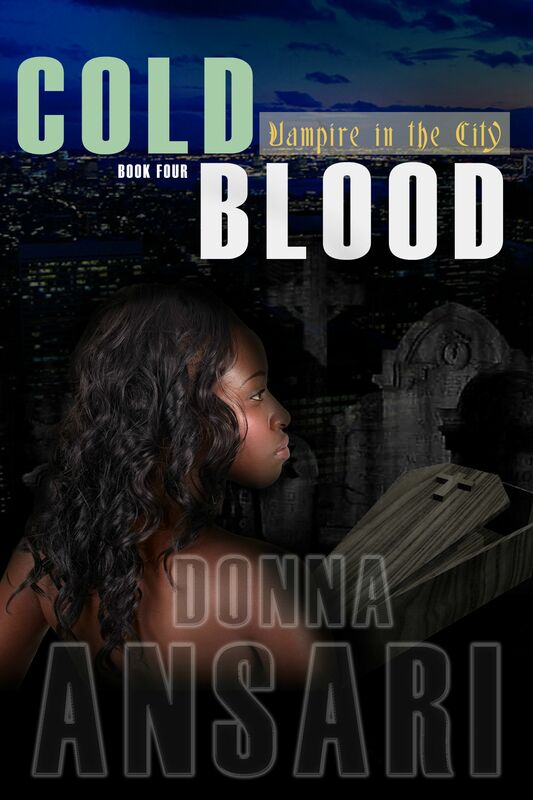 First, a bit of exciting news: I have finished the second draft of Cold Blood, and it’s now with my beta readers for review. Usually, it’s during this stage that I write the first chapter of the next book, which I just finished the other night. I am very happy to almost be finished with Cold Blood, as it’s the only thing I’ve written so far that has given me actual nightmares. Just by my admitting that, I’m sure those who know me can figure out the particular subject matter fairly quickly! Those who don’t, feel free to guess! 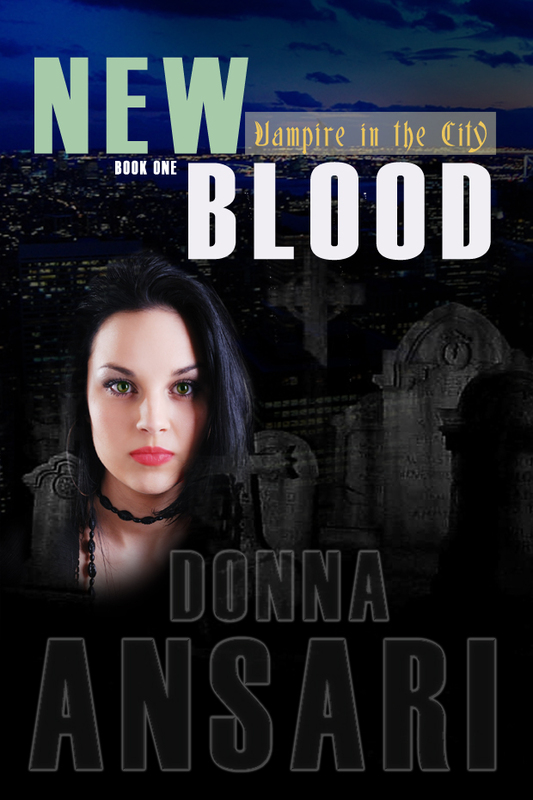 Next, a bit of nostalgic news–I just realized that it’s the second year anniversary of the release of New Blood, the first book in the Vampire in the City series. As to how many years it’s been since I actually wrote it–probably around six! It was originally written in a composition notebook and then hidden away in my desk for a few years. Then, in 2010, when I was getting rid of the desk to fit a bassinet into my bedroom, I found it. In 2011, after I had (marginally) adjusted to being a new mom, I typed it onto my computer, and finally let other people read it. The response was good, so I went ahead and published it. And today, almost four books out, I couldn’t be happier with where this little series has gone! By now, Urban Harvest: Tales of the Paranormal in New York City, is available on Amazon. The only author I haven’t interviewed here is myself. But since that strikes me as a little bit crazy, I’m just going to share an excerpt from my story in the anthology. 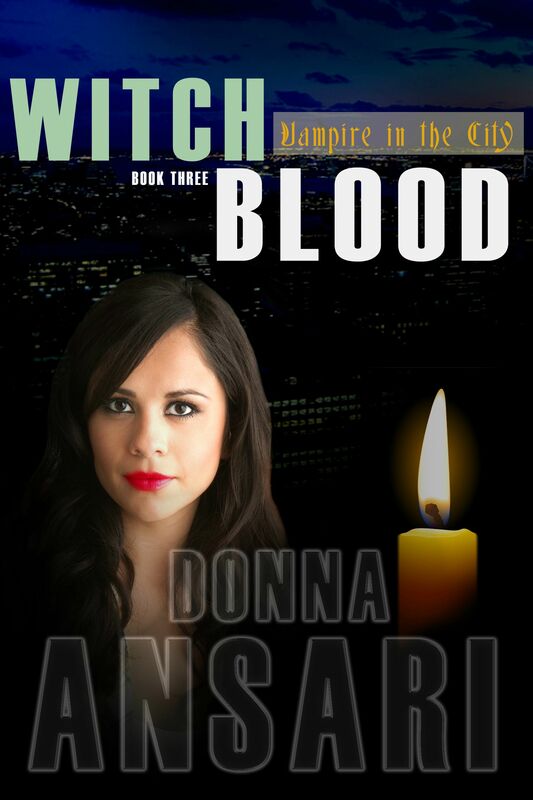 Originally, I wasn’t going to write a story about vampires, since I’m always doing that in my Vampire in the City series. 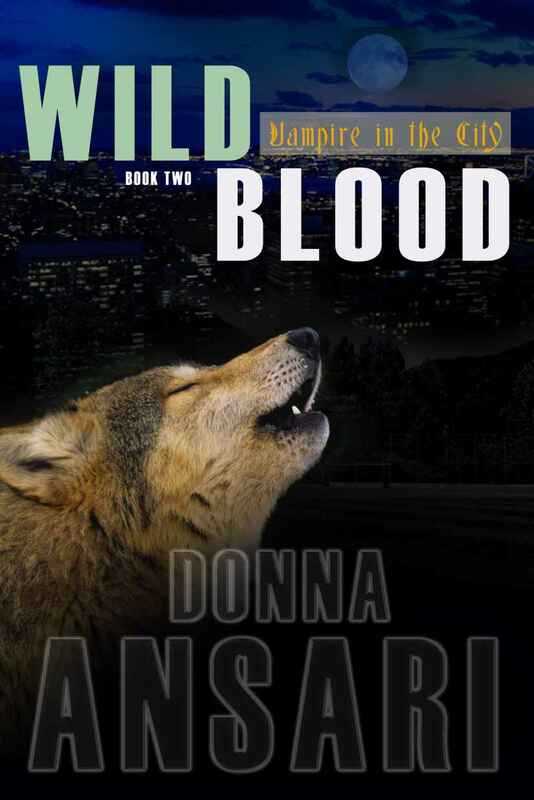 But as it was coming together, I realized there were no other stories about vampires, and that made me sad. So I wrote this story to fill the proverbial gap. “What do you like best about being a vampire?” Claire asked. Claire gave the generally accepted hand gesture for hurry it up. “Well, doesn’t everyone want to live forever and stay young and beautiful?” he asked. Claire tilted her head to the side and gave him a questioning look. “I mean young,” he quickly amended. Then what Claire had been waiting for happened. With a lurch, the train finally started moving again. “Well, I’m new at this,” Harold admitted. “Not you specifically,” Harold said, almost smiling. The G train had just pulled into a station, and the doors dinged open. “Well, that works out for me,” Claire said. She managed to twist around enough to land a pointy elbow in his inner thigh before jumping up and leaping off the train. Unfortunately, something caught her mid-leap. Harry had caught her around the waist and pulled her back into the train as the doors closed. “Good try. I’m not letting go of you again.” He sat back down and pulled her beside him. Then he yanked her head to the side until her throat was by his mouth. To read the rest of my story, buy your copy of Urban Harvest today! Laurie Treacy is one of the authors in the urban fantasy anthology, Urban Harvest: Tales of the Paranormal in New York City, and I’m so happy to have her featured on my blog for an interview. My writing is definitely character-driven. On my blog (www.laurietreacy.com) I call myself “The Story Channeler.” I feel like Theresa from TLC’sLong Island Medium, except I hear the voices of characters telling me their stories. I’ve learned whenever characters begin speaking or images pop into my mind, I grab paper or my laptop and get it out. It could be a page or two or even longer, but those spurts of inspiration can lead to short stories or novels. I let the characters take the lead. To read the rest of Laurie’s story, check out Urban Harvest: Tales of the Paranormal in New York City, available from Amazon! Tara is one of the authors in the (extremely!) soon-to-be released urban fantasy anthology, Urban Harvest: Tales of the Paranormal in New York City, and I’m so happy to have her featured on my blog for an interview. The paranormal genre really gives me a lot of room to let my imagination go free. It not only includes fantasy, but also mystery and unexplained occurrences as well. You can say something happened and the paranormal genre naturally allows that strange and wonderful event to take place in the world that you’ve created. I was on the train going into the city, listening to music on my MP3 player. I was thinking about the project, wondering what I should write about when Josh Groban’s song, “The Bells of New York City” came on. I immediately stuck it on loop and kept on listening to it for the whole ride. Music often helps inspire my writing. The song is about a grey, snow filled night in New York City. At the time, I worked down near Wall Street so naturally Trinity Church’s cemetery came into my mind. Then in my head, I got an image of a man from the late 1800s walking down those streets and I just went from there. 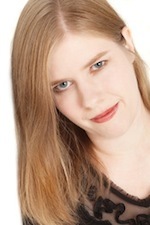 I have written articles as the New York Paranormal Examiner for Examiner.com. I have also kept a blog called Gay Family Life in which I talk about what it was like to grow up with a gay parent during the 1990s. I currently write articles as a Yahoo Voices contributor. I am working on building a collection of short stories, mostly about ghosts. I also have written a novel that I am hoping to find an agent for and to get published someday. 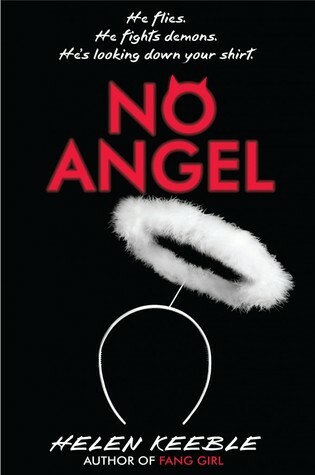 It is a ghost story that talks about the importance of brotherhood and how love can last from one lifetime to the next. A little of both, actually. Usually the main character will introduce themselves to me first. Then they tell me about the situation that they are in. I guess really the character is in charge of my writing. I usually have an idea of what direction I want the plot to go in, but ultimately there are some twists and turns as the story progresses. I have found that it doesn’t work well if I try to force something too much, so I just wait for my inspiration to lead me down the right path. I have several. Some of my favorite authors are J.R.R. Tolkien, C.S. Lewis, Amy Tan, Anne Rice, Neil Gaiman, Mitch Albom, and Charles Dickens. My favorite book of all time is The Hobbit. I like writers that create other worlds for their characters to go into or create odd situations for their characters to encounter in reality. My family raised me to love books. They took me to libraries and bookstores, they read to me every night, encouraged imaginative play, and had discussions with me about what I was reading. One day, I was in a bookstore pretending to be Belle from Disney’s Beauty and the Beast. I was actually reading a novelization of it as I was walking through the store. Being something of a tomboy, Belle was the one princess character that I really identified with because she loved to read. Then suddenly, I stopped and looked up at the walls of books. Turning to my mother, I told her that I wanted my name to be up on those shelves someday so that everyone could read my stories. I tend to write for one to three hours at a clip. I don’t really keep a strict writing schedule. Instead, I just write my heart out every time I sit down at the computer and try to make sure that I find time to do this at least three to four times a week. I’m going to keep on writing more short stories and see if I can get them published. I’m also pretty sure I have another novel that is almost ready to bloom, but I don’t think I’m ready to start it yet. Also, I need to focus on getting a literary agent. I have created two Facebook pages, one to help showcase my online work as a writer and another called Ghost Fanatic to share my interest in ghosts. You can also check out my Twitter page, @TaraTheresaHill. I’m really excited about the Urban Harvest anthology. This is my first official story publication. The following is a short excerpt from Tara’s story in Urban Harvest. To read the rest of Tara’s story, check out Urban Harvest: Tales of the Paranormal in New York City, available from Amazon in just a few hours!